Bombay High Court Recruitment 2018 | Clerk, Steno, Peon Posts | 8921 Vacancies | 7th, 10th, 12th, Graduation etc. 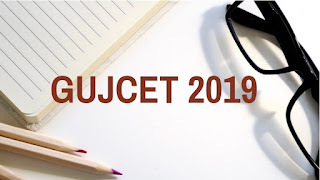 | Apply Online : High Court of Bombay has Published central recruitment notification for the 8921 vacanciese posts of Stenographers (Lower Grade), Junior Clerks and Peon/ Hamal in various District Courts. The Online Recruitment process started from 28th March 2018. The last date is 10th April 2018. More information please read below mentioned details carefully. (1) 10th Class / Matric / SSC Exam passed. Preference will be given to Graduate and Law Graduates of any Recognized University in any faculty. (3) Computer knowledge Certificate of any of the following Institutes:- a) DOEACC/ NIELIT, b) University, c) C-DAC, d) MS-CIT, e) Vocational Course – State Government, f) Vocational Course - Central Government, g) ITI - Central Government, h) ITI - State Government, i) Technical Board. (1) Minimum 7th Standard with good physique. How to Apply : Apply online through Bombay High Court District Court Recruitment Online Application System.